One of the most common problems which is faced by people of all ages is the dandruff problem, almost irritating each and everyone. There may be people who have a pleasing personality but may have a habit of scratching their heads very often. This is the problem which has been caused due to the dandruffs in their head. 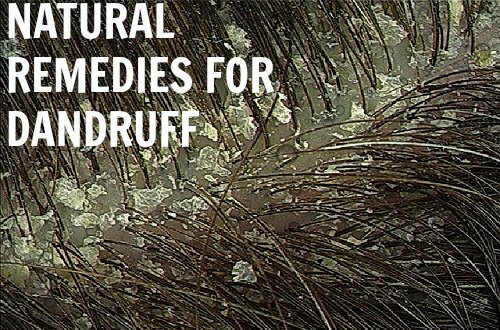 The dandruffs occur when there are no rich nutrients in the hair and also people who have a dry scalp are very much exposed to dandruff problem. Many have found it difficult to get rid of the dandruff problems. In this article we will suggest some tips and remedies for dandruff problem which are based on the recommendations given by various dermatologists. Many ingredients and supplements can be used for treating the dandruff problems based on the person’s skin sensitiveness to the supplement. Hence it should be taken with utmost care while using these supplements even if they are natural ingredients. The major issue is about the care given to your hair. Many people give least importance in protecting and preserving the natural condition of the hair and end up in several hair problems like hair fall, dandruff etc. There are some people who are naturally gifted with dry skin. They take utmost care in preserving their skin in their hands and legs, but don’t have the consciousness to take care of the dry skin in the head, resulting in dandruff. There are also risks of getting affected with dandruff unless you follow a proper and a healthy diet plan as a part of your routine. When you lack the essential nutrients in the food which provides the sources of ingredients for protecting the hair, it ultimately leads you to certain dandruff problems. Many people don’t have the habit of using shampoo regularly since they have a myth that using shampoo regularly will result in hair fall. But shampoo plays an important role in eradicating the worn out cells in the hair preventing the attack of dandruff through the worn out cells. It is common that we are facing many problems in our day to day life. The pressure will get built up inside us based on the intensity of the problem we are facing. When the intensity is of much high importance, then we get emotionally unstable and start to think only about that problem which may lead to dandruff problems. Now, let us look up some of the remedies which act as remedy for the dandruff problems. Many of you might wonder how a medical pill came into the list. It is just because of the reason that it contains some important proportions of acids which may get rid of your dandruff. The aspirin tablet can be grinded into fine powder substance which may be mixed up with normal cleanser and applied to your hair. Practicing this regularly by keeping the mixture for a minute or two in the hair will surely get rid of your dandruff problems. Tea Tree is most commonly found in the island nations of Australia and New Zealand and can be used as an effective remedy for curing the dandruff problems. Mix the solution with your normal routine of hair pacifier to give a good wash to your scalp and rinse the hair properly to get rid of dandruff problems. Not only used for cooking purposes, its ingredients can be a valuable source for eradicating the dandruff in your hair and also to remove the dryness of your skin. Take a spoon of baking soda in hand and apply it on your scalp vigorously so that the powder gets touched with the scalp and then wash the hair with your normal hair conditioners. This will not only remove the dandruff but also provides nourishment to the dry skin in the head. Vinegar, chemically used for many purposes might be a combination of various other ingredients in it. Hence it is advisable to take natural vinegar which has only minimal amount of chemical compositions in it, namely the cider vinegar. It has various enzymes which reduces your normal scratchy sensation by removing the worn out cells and also has various other nutrients which prevents the hair fall and promotes good flow of blood in your scalp region. Lime when combined with some natural oil and applied on the hair will surely help in removing the dead cells in the skin and also in providing some revitalizing effects to the hair tone by bleaching the hair. It also provides the moistness to the skin. It can also be used as a major ingredient to eradicate the dandruff problems in the skin. Olive oil which is of its purest form without any mixture being added to it can be a good source of supplement for vanishing the dandruff problems. It is not necessary that it should mixed with shampoo or other components to end dandruff problem, but it can be directly applied to the scalp of the hair. Once applied directly it provides natural sources of relief from various hair problems in a single ingredient. As many say to keep the best for the last, Aloe Vera is also one best remedy listed down at the last portion of our article. It is commonly known to have various effects on the skin and it can be carried to hair also. It provides rich sources of nutrients which softens the scalp and provides nourishments to the skin. It has certain effects against the bacteria and the fungi that causes the dandruff problem and helps in eradicating them completely.